Some may find this a bold statement, but I stand by this 100% – you need to learn German if you’re an English-speaking expat living in Berlin. Anyone who tells you different is wrong. As Berlin is such an international city, a lot of people seem to think that you don’t need to have a command of the German language in order to live in Berlin. I’ve read and watched countless and, unfortunately, very misleading articles and videos informing expats that understanding German is not necessary. Even worse are the complaints I’ve heard from expats that Germans don’t know enough English. I won’t get into how much these things bother me. So I’ll hold back and spare you from a long rant against poorly written articles that perpetuate misconceptions about living as an expat in Berlin and also, against the small group of ignorant expats who love nothing more than to complain. To a certain extent, it’s true that you can get by speaking only English. I personally know people who’ve been in Germany for years and never bothered to learn German. They seem happy and perhaps it somehow works for them. Based on my own personal experience, I feel their Berlin experience would be that much richer if they just got a basic grasp of German. My advice for any aspiring and current Berlin expats is to learn German to the best of their ability. If you’re planning to stay in Berlin for anything beyond a brief vacation or the three-month tourist visa, it’s important that you make an effort to learn the language. Even just learning a little bit of German will go a long way. Learning German is especially essential for those looking to find a job in Berlin. It will not only substantially increase your chances at finding a job, it will also set you apart from other candidates who are lagging behind on the language front. The first time I moved to Berlin, I didn’t make a proper effort to study German. It was due in part to not knowing if I wanted to stay in Berlin long term, balancing multiple freelance clients, and dealing with some personal issues. Moving home to Canada made me realize how much I missed Berlin and that most of my troubles during that time could be traced back to not knowing the language! As I knew I wanted to come back to Berlin again someday, I enrolled at the Goethe Institut in Toronto, eventually reaching the A1.2 level. My efforts were not in vain and really helped me upon moving back to Berlin. I can now better understand conversations happening around me and can get by in fairly simple situations. However, I’m still at the beginning of my journey. Being able to read a restaurant menu and order in German isn’t enough. Unfortunately, I still have an irrational and intense fear about speaking German in front of other people, especially those I know. I need to get over it and jump back into the language learning game again soon. When I moved back to Berlin last November, I went to my local Sparkasse to open a bank account. It turned out that none of the staff on duty could speak English very well, and they didn’t feel comfortable helping me. They asked me to come back and set up an appointment for the following week with one of their younger bank tellers who speaks English. Also, when I was in Sofia for the weekend back in January and an ATM “ate my bank card for breakfast”, I had to enlist the help of a German-speaking friend to call Sparkasse and put a hold on my account until I could go to the branch and order a new card. The staff at government offices like the Ausländerbehörde, Bürgeramt, and Zollamt, are notorious for speaking only German. Even though they deal with foreigners on a daily basis, it’s their way or the highway. If you can’t speak the language, then you need to bring a German speaker with you to your appointments. This can be especially daunting for those who are new here and don’t know anyone. When I first moved here, my landlord helped me by letting me hire her intern, who came along with me to the Burgeramt. Depending on how many times you visit a government office, it’s either going to get very expensive or you’re going to annoy your friends who will tire at bailing you out all of the time. Some restaurants only offer menus in German, and their wait staff may not be able to speak English very well, if at all. Unless you have the time to run every dish on the menu through Google Translate, there’s a good chance you’re going to frustrate the wait staff and get bad service. Maybe someone in the kitchen will spit in your food! Or you’ll be forced to order under pressure and end up selecting something random from the menu. When I first came to Berlin, I received many “surprise” dishes as a result of this happening. Try troubleshooting a jammed printer that only has a menu in German. At work in Canada, I could handle printers like the IT pro I am. Here, I stare blankly at the screen and attempt to solve the problem by pushing random buttons (which always works) or opening up the printer looking for the jammed paper, getting toner ink all over myself in the process. Of course, I’d usually end up making the problem worse and frustrate my co-workers who have stuff to print as well. In the end, I have to beg their assistance and, by their request, write down the step-by-step instructions to solve the problem on my own the next time. Not embarrassing at all. Not learning the language will actually make some locals dislike you, and you may encounter some of that famous Berliner Schnauze. When some Germans find out you’ve been here for years and haven’t bothered to learn the language, they may refuse to engage you in conversation and say unkind things like “typical American!” with a lot of disgust in their voice. A British girl I know from a neighbourhood coffee shop, who actually speaks German fairly well, recently told me about how their delivery man spoke down to her and started lecturing her about not knowing German. Luckily, her German boss came to her defense by telling the old man to stop yelling at her, informing him that if he ever said anything like that again, his coffee shop would cancel their contract with the delivery company. It’s an unfortunate reality that you may have to deal with here, and there won’t always be a superhero boss around to come to your defence. And to be very clear, this is not the norm. Most Germans are very kind and friendly people, who’ll appreciate your willingness to try to learn their language. If you’re like me, you’re also going to want to make friends with both expats and Germans. I can’t tell you how much my world opened up in Berlin after I became good friends with a small group of Germans. Dating one helps too. Having German friends is a good thing, but the bad part is that each time I get together with them, everyone still speaks English with me. It isn’t really nice on my part to expect that they adjust their behaviour because of me. So with that in mind, I’m going to enroll myself into a class ASAP. This “Berlin expat advice” is a new series here on cherylhoward.com. Now and again, I’ll offer up advice about how to succeed as an expat in Berlin and try to dispel some of the myths out there. Contrary to what others might say, living in Berlin is not just one big, perfect, unicorn-and-rainbow-filled dream. Living here can be and is a challenge, and my hopes are to not only tell you about the realities of living in Berlin but offer up tips on how you can overcome any challenges. On The Eighth Day God Created Coffee … At Cafe Demel. 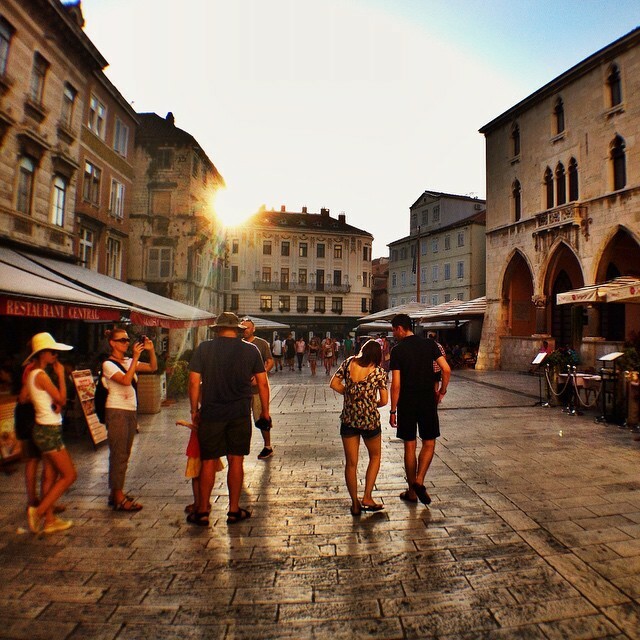 What a Day in Split Might Look Like … If You Were Me. It’s my dream to live in Berlin for a year, to learn German. I want to quit everything, get a youth mobility visa, and use that time to travel Europe (while using Berlin as my home base), but I’m worried about employment opportunities. I work in the arts, and it is one of the reasons I’m drawn to Berlin, but I’m not going to delude myself into thinking I’ll find employment without knowing German. I have close to $40,000 saved, and I’m wondering if in your experience, that would be enough to cover costs of living in Berlin, and also find weekend/week getaways in Europe, should I never find any viable employment. People think I’m crazy to “waste” that money when I could contribute it to a home or some other crap, but I can’t imagine a more enriching way to spend it. That’s more than enough to live in Berlin and travel. It really depends on how you live and your travel style. And you never know, you may end up finding work while you’re here? I live on the cheap, definitely. I wouldn’t need more than a studio, and when I travel, I’m also a cheapo for sure lol. Realistically, I know it’s more than enough, because I live on way less than that here, but people are sort of putting fear in me: “what the hell will you do if you suddenly run out of money?” I guess the answer is, just come home. But for some reason, that question looms over me, and I feel like I need a ridiculously high financial safety net. I used to think 40k was more than enough, until people convinced me otherwise. Oy! When I arrived in Germany, my landlord included the use of one of the many (beat-up) televisions they had in storage. Naturally, I watched everything, from MTV Germany to news (across all spectra) to morning yodeling (c’mon! AlpenPanorama!) to soaps. Let’s face it: soaps/telenovelas are a great way to pick up some language because the (universality of) scripts surround themselves in the big themes: love, lust, jealousy, money, greed. It’s not exactly an elocution of the finer points to economic policy or centuries-old philosophy; the vocabulary is limited in a specific way. One way I’ve also learned over the years is to correlate things being written and said with similar situations in North America. Thanks for your post! Thanks Henry! I was inspired to write this, as I’m tired of other articles informing people that they don’t need to learn German if you live in Berlin. While it’s somewhat true, everything only gets better if you try. I’ve heard of people watching TV to learn German or reading silly entertainment magazines as well. I stumbled upto your article while looking at living in Germany. I’m following a similar path as you. I work in Toronto cutrently, but will be quitting and leaving it all for a life in Germany, where I will be able to set up roots. I am also an IT specialist and work as a senior business analyst, and I just completed my A2.1 german course at the Goethe Institut Toronto.. See the many similarities :). My plan is to enrol full time into the language school there while I look for viable employment. Do you have any tips for me? I was also wondering, that, to be able to get a job and apply for work permit, how hard is it isn’t he market there? Do companies hire foreign workers? What level of german is necessary to qualify for jobs? Your post really inspired me and I agree with you. When we move to a new country, we must adhere to their customs, traditions and do our best to learn the language rather than the other way around. If you sort through my Berlin archives, you’ll find plenty of helpful article. With regards to work, check my article about how to find a job in Berlin: https://cherylhoward.com/2013/10/26/find-a-job-in-berlin. Most answers to your questions will be there. I’d also recommend doing a coaching session with expath.de. It costs, but it’s worth the spend. They can guide you through more specifics. I think I messaged you through the facebook link, but figured I’d post here as well. Everything I’ve read on this site have been great reads and I’m definitely thinking about moving to Berlin. I’m actually strongly considering a big move out there so much so that it actually makes me nervous how seriously I’ve been contemplating it. I had a hunch that I wanted to give Germany a try and I visited Munich for Oktoberfest a couple months ago. I actually got to use some of the language (been Duolingo teaching myself for 2 months prior) and it felt great being out there. I think I’m in the same spot as you were; I have a good job out in California but still feel like I’d be missing out on an amazing experience if I didn’t make a move. I also saw you had a variety of selections for all the different types of services necessary for a move: language, apartment hunting, friend finding, etc. All this elicits even more questions and curiosities that I have about your process. Would it be alright if I asked you a few questions that I didn’t find in your posts? Thanks for reading the blog. As always, I hope its helpful as you think about your move to Berlin. If you have more questions, just email me at cheryl.howard@gmail.com. 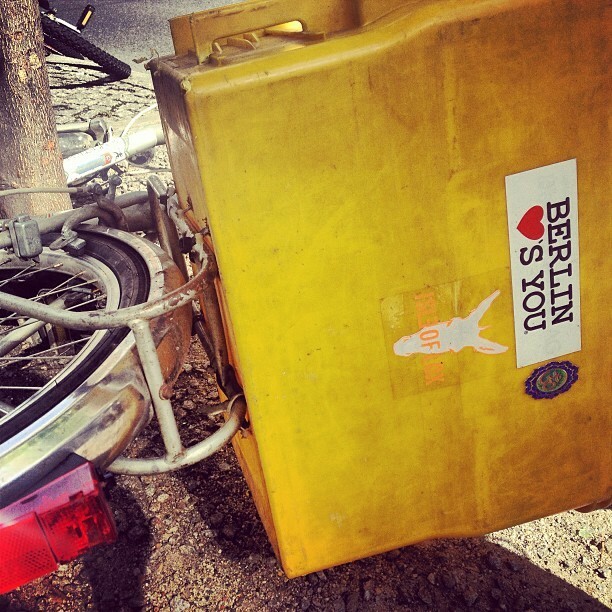 Thanks for your blog posts, I’m learning a lot about living in Berlin through them 🙂 My husband and I are hoping to move to Berlin in early 2017 (we will go talk to our local embassy soon to make sure it’s possible – we both plan on working remotely in Berlin for our Canadian companies, so not sure how we’ll obtain a Visa but we’ll look into it.) I’ve really enjoyed your posts about meeting friends in Berlin and learning German there especially. Looking forward to future blog posts, and thanks again! I highly recommend Expath for help before you get here as well. I actually found Goethe to be the *most* excellent language school I’ve attended to date. But finding that they are more expensive in Berlin, I’ve resorted to other methods. Thanks for the tip about Speak Easy. Hopefully, other expats will find it useful. Thanks for reading, the kind comments, and other suggestions. Hopefully, some of our readers can benefit from your tips as well.